*This post is intended to be humorous and is not to be taken literally. The Law Office of Rick Wagner does not recommend anyone follow any of the below winter driving tips. Visibility: This can mean two things, you can see and you will be seen. Only scrape off enough frost from the windshield using your credit card, to see out the front. If you want to push some snow aside, go ahead and turn on the windshield wipers. Don’t warm up the car with the defroster running; it’s such a waste of time and gas. Plus who plans ahead that far in advance? Be Prepared: Bring your coffee and phone. In case you get stuck somewhere you’ll have coffee! Be sure to text your boss – you might get be late – as the roads are icy. And put the phone up near the opening in your windshield so everyone can see you are texting and driving! Stay Covered: Leave the snow piled on top of your car, and on the hood and on the back windshield, let the wind will whip it off in no time, especially in front of the cars behind you. It’s fun to see that plume of snow whirling around. Don’t put the snow tires on until the first storm. The first storm never amounts to anything anyway. You can test out the summer tires and see how well they do on snow and ice, that way you will really know if it’s time to get new tires. 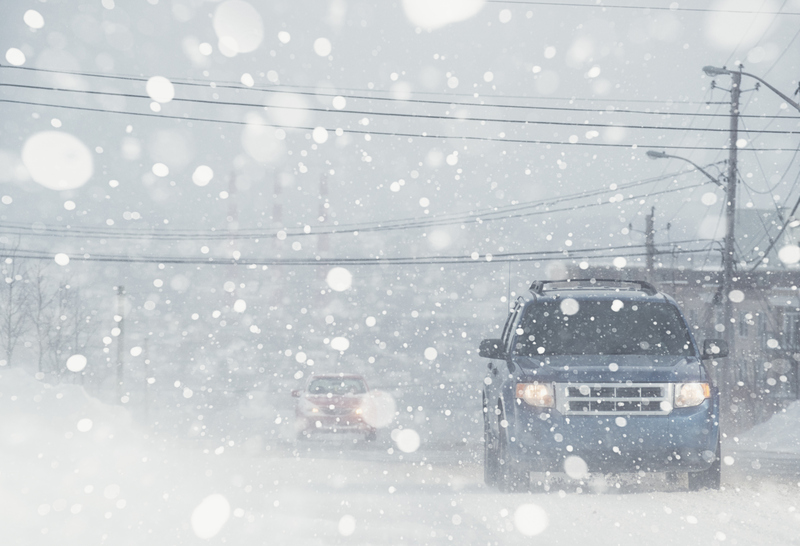 In a white-out turn on your lights on high beam, that way oncoming cars will see you, and you can see every little flake coming down in front of you. It is pretty! Don’t make room for other cars on the highway, you know they have control, they know you have control. It’s annoying how drivers slow down in bad conditions, just get past those slow drivers, they are a hazard.